﻿ Dysmenorrhea Symptoms-Period Pain Symptoms | Period Pain Relief. Dysmenorrhea Symptoms, Period Pain Symptoms. Dysmenorrhea normally pain concentrated in the lower abdomen, in the umbilical region or the suprapubic region of the abdomen. It is also commonly felt in the right or left abdomen. It may radiate to the thighs and lower back. Period pain, dysmenorrhea often come with stress, depression, short tempered, upset and other psychological problems. What is Period Pain, dysmenorrhea definition,what is dysmenorrhea. the pain normally starts when the period starts or just before. 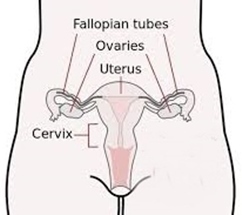 clots are passed in the menstrual blood. pain continuing after the first 24 hours (this tends to subside after two or three days). swollen or tender breasts, engorgement of breast. abdominal pain, headache or backache. joint or muscle pain all over the body. depression, trouble with concentration or memory.